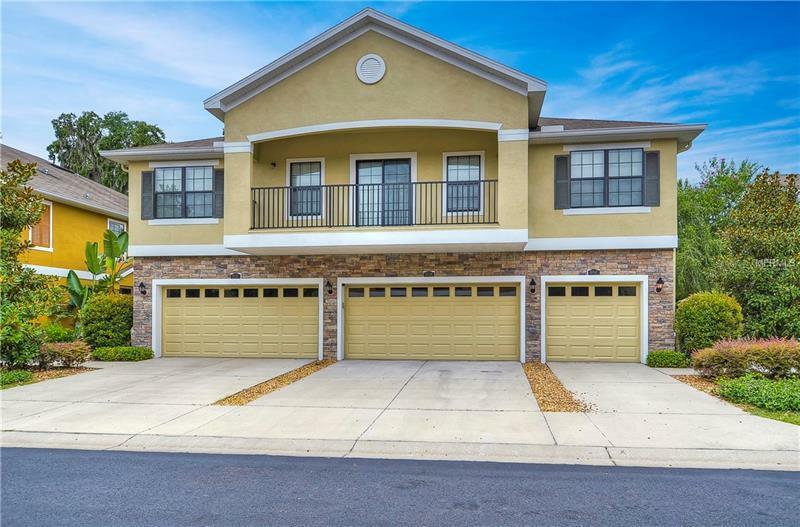 This beautiful maintenance free townhome in FishHawk Ranchâs Kinglet Ridge is a must see! Stepping through the front door into the bright open floor plan you will see why this DR Horton floor plan is a favorite! Downstairs is a wonderful open design offering a large great room with views of the kitchen & dining room area. The upgraded lighting & ceiling fans throughout the home, along with bountiful oversized windows, gives this home a light & airy feel. The kitchen features espresso cabinets, granite counters, stainless appliances, tiled back splash, built in microwave, breakfast bar & more! When you retreat to the master suite upstairs you will be able to relax in privacy & enjoy the attached master bathroom complete with double sinks, granite counters, large walk-in shower & walk-in closet. Two more large bedrooms are also upstairs. A second full bathroom also features granite counters! Updates and features throughout include: neutral paint welcoming all your decor, oversized tile for easy cleaning and extra storage in the large 2-car garage! Not only is this home beautiful, but this gated community is a dream with access to FishHawkâs many amenities such as pools, outdoor cabanas, tennis courts, paved trails, recreation buildings, playgrounds and the list goes on & on. Maintenance includes lawn care, exterior maintenance & roof! Come and see for yourself!